There’s no such thing as a bad time to get into fitness. There’s just one thing that you need — regular exercise. For many people the idea of starting a long-term training plan is often overwhelming, which is why signing up for gyms or paying for subscription services on apps to workout isn’t as popular as it perhaps should be. Having been in that situation multiple times, we’ve found ways to start working out while in the middle of a rut thanks to these apps. Fitness is not just about exercising though, so we’ve found a few apps that let you keep a tab on your diet and some that help you destress and relax with some meditation. Here are the best fitness apps that you can try right now. The following apps will help you log your workouts on your smartphone. If you’re into running or other sports, these apps will help. Strava has one of the biggest communities of fitness enthusiasts out there. This app lets you track a host of workouts including running and cycling, and its advanced features really make it shine. It shows you heatmaps to highlight popular routes in your area, lets you compete with others by logging fastest times over any given segment, and offers in-depth performance analysis in the premium tier. 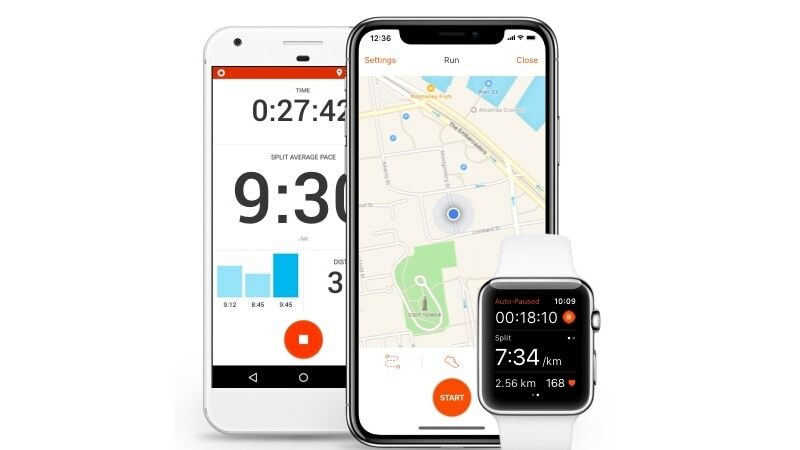 Strava is compatible with a host of GPS devices and fitness apps so you can easily export. The free tier lets you track workouts and compete with friends, while the premium tier has performance analysis and a few other features. If you have an Apple Watch, the Workout app is excellent for tracking different kinds of workouts. We’ve tracked gym activities, runs, and swimming via this so far, and it’s been on the money every single time. With nifty features like automatic workout detection and support for a wide range of workouts, the stock Workout app gets a lot right on the Apple Watch. On a related note, watchOS 5 allows you to set up activity competitions with your Apple Watch using friends, which is a nice addition too. Nike Run Club (Android, iOS): It’s totally free and has some nice training plans for various races. Runtastic (Android, iOS): Not the best-looking app, but is right on the money with its training plans. Runkeeper (Android, iOS): It nails the training part for all kinds of races, and has some excellent voices built-in (try Drill Instructor to kickstart your workouts). There are a bunch of apps that let you start a training regimen at home and here are our picks. Nike+ Training Club has a wide range of workouts for people with widely varying ranges of activity. From beginners to fitness freaks, everyone will be able to create a training plan on this app. Nike’s app is completely free and has great exercise plans, which makes it very useful. Pear has an excellent variety of coaches to train you via videos. The app has a great set of coaches to motivate you and a variety of workouts that smartly adapts to your fitness level. We really love the fact that it’s compatible with a few smartwatches as well and that its coaches react to your workouts based on your heart-rate. It’s smart coding that simulates having a real coach right next to you. Pear is innovative and fun to use. You can use the app for free in the initial trial period, after that you’ll have to pay. 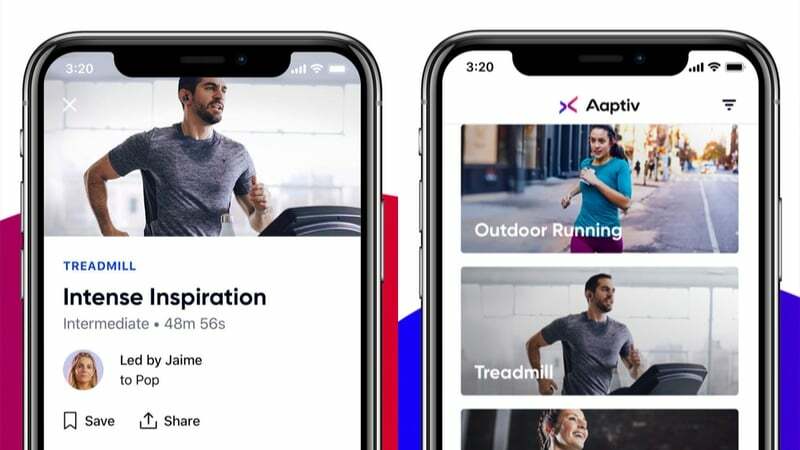 Aaptiv uses a unique idea to get its message across — audio fitness. In this app each workout is best followed with a pair of headphones on as it has coaches that talk you through each step via pre-recorded messages. It may sound simple, but the execution is spot on. 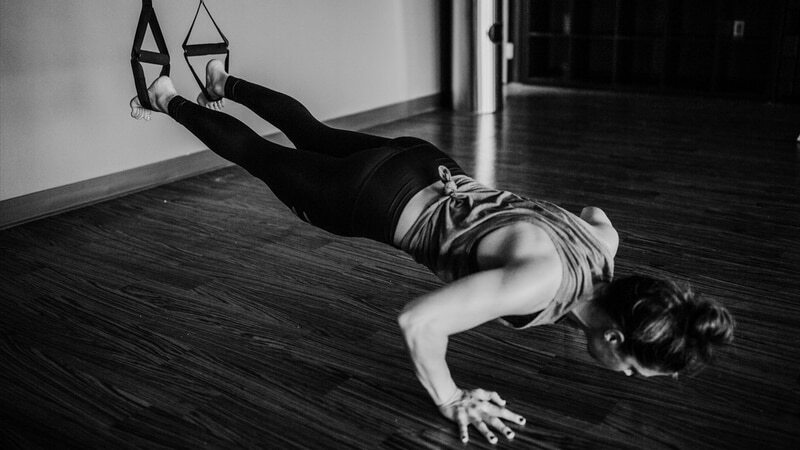 It includes basics such as just touching your toes without bending your knees as well, which makes it good for beginners and the app has advanced workouts as well. There’s a short free trial and you’ll have to pay once it expires. Freeletics (Android, iOS): Nicely designed apps and customised workouts for your goals make Freeletics great. Runtastic Results (Android, iOS): This app lets you set a target to be achieved in 12 weeks and curates workouts accordingly. Strong (Android, iOS): This app has extremely customisable workout routines that you can tailor to your needs. It has a large set of workouts to choose from and lets you create workouts for specific muscles in your body as well. Sworkit (Android, iOS): Has some really creative workouts such as yoga for runners, is nicely designed, and even works on browsers. Tracking your calorie intake is a good idea if your watching your weight or trying to stay fit for any upcoming sports event. We think this is not needed for everyone — many of us can get by simply by eating healthy and avoiding junk food (sugary drinks including sodas included). However, for those who need to track their food intake, here are a couple of great apps. 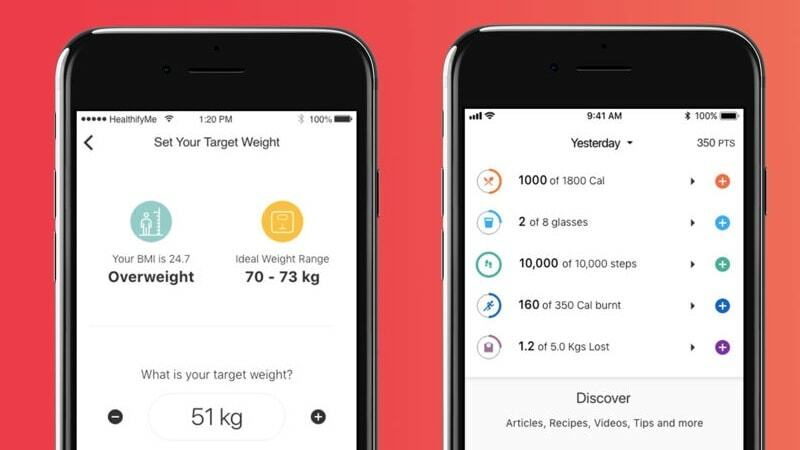 One of the most popular fitness apps across the world, MyFitnessPal lets you log your caliorie intake and has a fun feature that allows you to scan the barcode of certain products to count the calories in those. It has an extensive collection of recipes and that gives you ideas for healthier cooking as well. The app’s food logging feature is really good, even if it’s not so great for Indian foods and serving sizes. HealthifyMe is an Indian fitness service with a unique selling point — a database of Indian foods and correct serving sizes to accurately track calorie intake. Indians find it difficult to use most calorie tracking apps because they don’t have Indian foods and even if they do, they don’t accurately list serving sizes. HealthifyMe fixes that and has a bunch of other fitness-oriented features such as access to a coach and workout tracking as well. You can log your meals for free, and the subscription plan gives you access to coaches and nutritionists for training and better health advice. While it is true that anyone can meditate anywhere as long as they have a quiet place to do so, a good meditation app can go a long way towards helping you destress and improving your mental health. Here are the best. Calm has a lot of features that will appeal to people who meditate and even those who know nothing about meditation. It starts at a very basic level to help people learn how to meditate. Every day the app has a new meditation session based on certain themes such as new beginnings, for people to develop a meditation habit. 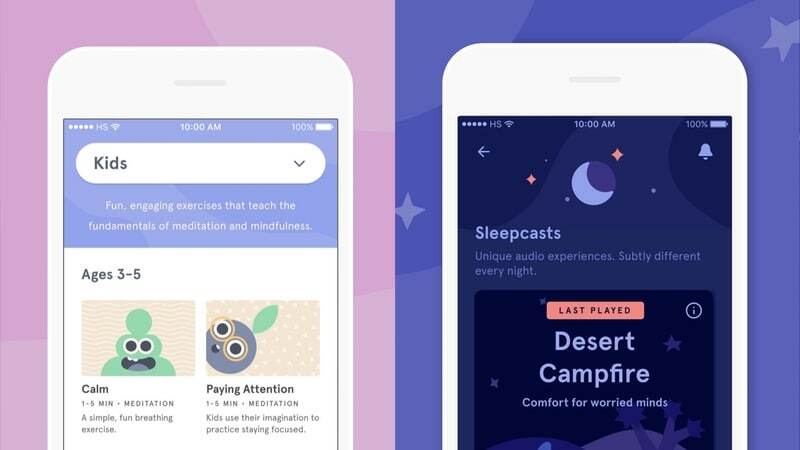 Beyond the basics, Sleep Stories (one of them by the actor Matthew McConaughey) is one of the best features of Calm and it has helped quite a few people with sleeping difficulties. The app’s Emergency Calm section is perfect for dealing with bouts of anxiety and has helped people we know calm down. There’s a free trial on this app, but once that expires you will have to pay. Headspace is another excellent meditation app that we like just as much as Calm. It teaches you different techniques for meditation and also has sleep sounds in case you are having trouble sleeping. The latter works for a lot of people even though it’s not as effective as sleep stories that we’ve tried with Calm. However, we really love the meditation courses on Headspace. It has meditations for various purposes such as movement and sports competition, among others, which have helped a lot of people focus better. The free trial is good enough to get a taste of Headspace, but post that you will have to pay. There are free apps that provide some tools to improve your mental health as well. Oak (iOS): Oak is a lovely meditation app that’s also completely free. It has a nice tiered progress system that hooks you into meditating every day. It has breathing exercises for reducing stress, sleep, and much more. Let’s Meditate: Guided Meditation (Android): This is a free meditation app on Android that’s good for beginners. It covers all the basics and you don’t have to pay an expensive subscription fee either. Talklife (iOS, Android): Allows people to post about issues with anxiety, depression, and other mental health issues, with a supportive community to help out or to suggest ways to get help. Daylio (iOS, Android): This is a free mood tracking app that helps you log how your mental health has been over a period of time. It has a nice UI that allows you to log entries quickly and you can add notes about your day if you wish. You can also try motivational apps such as Daily Quote – Positive Quotes or Daily Quotes, positive thinking and affirmations in case you’re feeling down and need some inspiration. It goes without saying that you don’t need apps for motivation, as you can get that from social media websites such as Reddit, where communities such as r/GetMotivated exist.